WayHome Music & Arts announces the return of Perrier's Greenhouse programming, art installations and full list of onsite vendors. The new additions join previously mentioned acts Frank Ocean, Imagine Dragons and Flume. 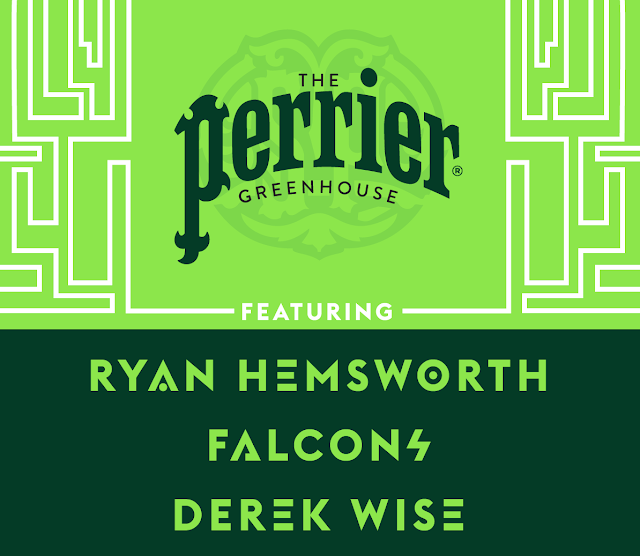 The Perrier Greenhouse hosts three full days of high tempo DJ sets, custom cocktails, a/c and more. Showcasing some of Canada’s top talent, Perrier Greenhouse will feature headlining performances by Ryan Hemsworth, FALCONS, and Derek Wise, as well as sets from Montreal producer Tommy Kruise, Toronto based Radar Radio host JAYEMKAYEM. 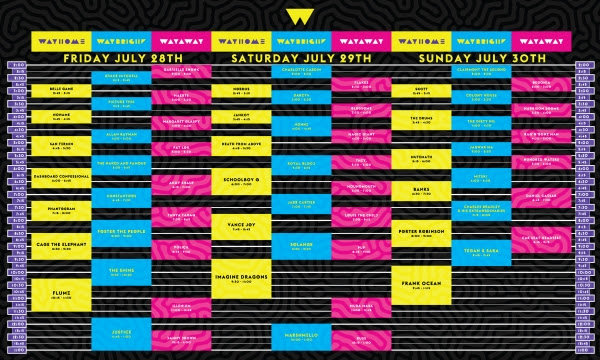 Full list of programming and festival set times can be found below and at lineup.wayhome.com. Beyond the music, WayHome and its brand partners have collaborated to create summer fun activities and time of your life experiences such as volleyball on a custom built beach, the Coors Light Hot Air Balloon and a wide range of farm fresh produce and ready-to-eat items at the OK Friday food market. A full list of food and market vendors can be found below. Coors Light is pleased to offer festival goers mountaintop aerial views, overlooking Burl’s Creek Event grounds in a hot air balloon. In addition, Coors Light presents their limited edition festival cans, which are the world’s first beer cans with sun activated ink technology. Now, not only can your Coors Light tell you when they are Cold Certified, but also when they are ‘Summer Certified’ with bold colour patterns that pop when the sunlight reaches them. TOPSHOP and TOPMAN return this year with an immersive space comprising four themed rooms that deliver the ultimate social experience. Renowned for partnering with up and coming artists, TOPSHOP and TOPMAN have collaborated with Kastor & Pollux, Trevor Wheatley Cosmo Dean, and Jason Voltaire to create four distinct and engaging rooms that bring key summer trends to life. Each room will incorporate a unique mirror to reflect both the trend and artist’s style, all designed to provide festival attendees with the ultimate shareable image. Guests will be inspired to “see themselves differently” and share the moment with the world to further stimulate creativity and conversation. #SeeYourselfDifferently. 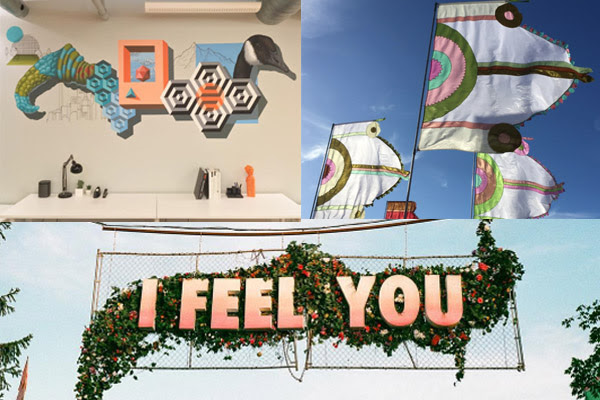 WayHome is thrilled to welcome back installations from artist duo Trevor Wheatley and Cosmo Dean to the festival, as well as the social media favourite flags from Angus Watt and Balloon Chain. Nathan Witford will light up the VIP area with an illuminating installation, and Toronto-based muralist birdO will be bringing his surreal geometric animals to Burl’s Creek. Ticket Info: Tier 2 Three Day General Admission and VIP Passes are still available at $249.99 & $599.99 respectively. WayHome Tier 2 Single Day General Admission Passes are on sale now for $99.99 and VIP Day Passes for $219.99. WayHome Music & Arts, produced by Republic Live, is a three-day music and arts festival held at the custom-designed camping festival grounds, Burl’s Creek. In it’s inaugural year, WayHome featured headliners Neil Young, Sam Smith, Kendrick Lamar, along with Alt-J, Modest Mouse, Hozier and many more. In it’s second year, WayHome Music and Arts 2016 featured LCD Soundsystem, Arcade Fire and The Killers, in addition to performances by Major Lazer, M83, HAIM, Metric, Chvrches, Ray LaMontagne, and 60+ more artists. The festival offers multiple stages, a variety of late-night spectacles and experiences, international and local cuisine, an on-site locally produced farmers market, original art installations - past artists include internally acclaimed artist such as; DoLab and Angus Watt, and more to 40,000+ fans over the course of the weekend. WayHome Music and Arts was recently awarded the Live Music Industry Award for major festival of the year in 2017, as well as the New Kid on the Block (Best New Festival) award and was nominated for Major Festival of the Year at the 2016 Canadian Music Awards. Republic Live is a Canadian-owned live entertainment company founded in 2011, with offices in Toronto, Ontario and Nashville, Tennessee. Republic Live takes pride in creating world-class, fan-centric, time of your life experiences. The company works with a multitude of partners on a variety of platforms to create unique experiences for fans, artists, industry partners and sponsors. Republic Live’s two flagship events are Boots and Hearts Music Festival, Canada’s largest camping and country music festival and WayHome Music and Arts Festival, a kaleidoscope of sound, smell, colour, and spectacle.